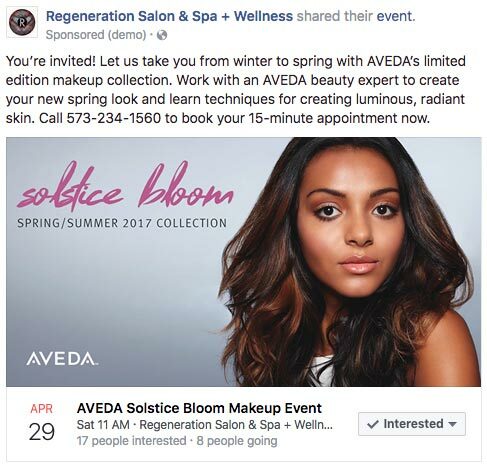 Regeneration Salon and Spa in Columbia, Missouri is a growing salon and spa service with unique a unique, holistic approach to cosmetics, hair care, and overall wellness. Three years after purchasing the salon, the owner reported continued problems with appearing in Google searches, incorrect name/address/phone numbers listed, and customers calling after having found the old salon name. The client also expressed an interest in growing attendance to events she holds throughout the year. She reported that posting to her Facebook page seemed to be less and less effective. 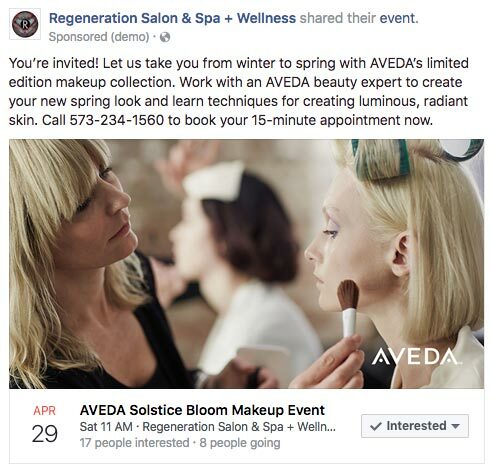 In the first two months after enrolling Regeneration Salon and Spa in CMG’s Power Listings service, the client reported an immediate increase in business, more clients coming in who’d just moved to the area, and better online business listings appearance. CMG estimates that as few as 2% of a Facebook page’s fan base sees a page’s posts – the era of organic reach on Facebook has ended. However, highly granular hyper-targeting makes it one of the most powerful advertising platforms in the world. 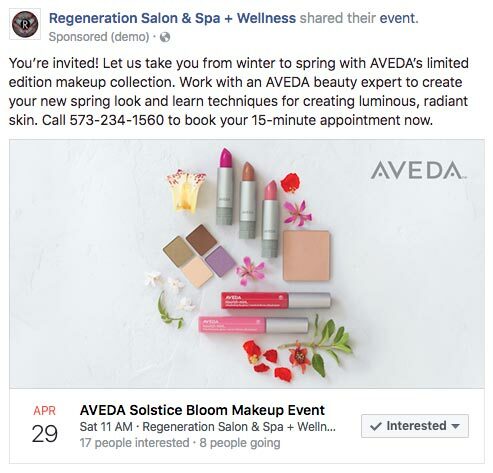 A Facebook campaign promoting a spring make-up event with an Aveda representative has done well. CMG recommends event campaigns because a page can send a push notification to anyone who has marked “interested” or going” by posting in an event. Results have been strong and event turnout was high despite inclement weather.